AvePoint’s team of Microsoft-certified engineers has moved thousands of customers worldwide to Office 365 and SharePoint. AvePoint’s suite of industry-leading migration tools have been used to discover, classify, and move over 8 petabytes (PB) of data from more than a dozen source systems. AvePoint’s migration methodology embodies best practices honed on the largest and most complex Office 365 and SharePoint migrations around the globe. 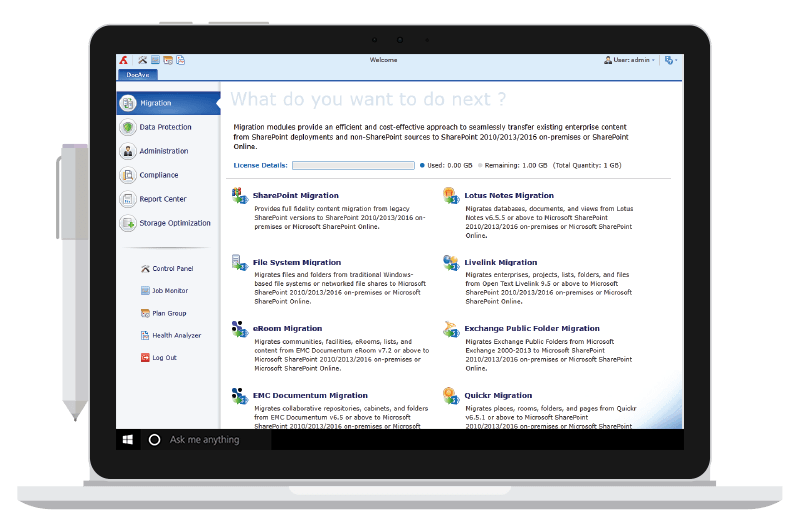 Let them handle the migration for you! Perform a comprehensive review of your business needs as well as the current farms that make up your production environment. Identify and fill gaps in your governance or hardware requirements to build an outline for the execution phase. Test an end-to-end migration in your production environment to identify areas where performance enhancements can be made. Run full and incremental migrations from source to destination, and provide status reports to stakeholders and business users. Synchronize changes made in the source environment during execution, and transition users into the destination environment. Migrate all the things. Maintain all the metadata. Our experts have done this before.